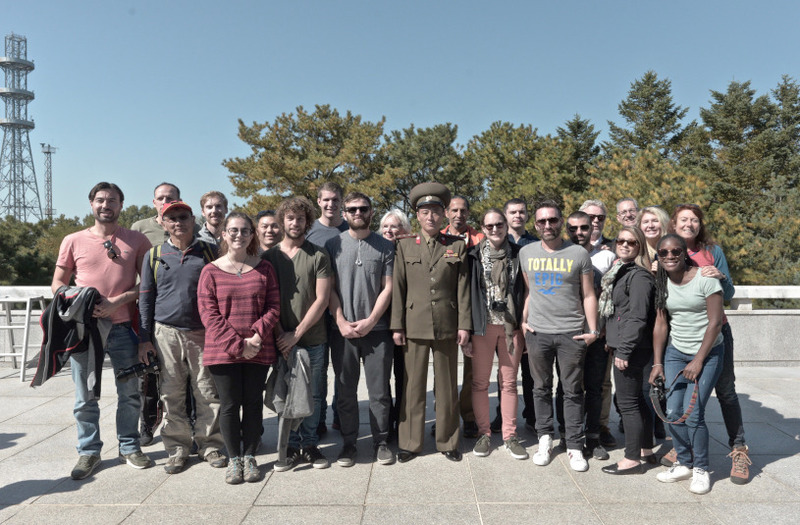 This is a follow-up to our piece on how to book an independent tour to North Korea. The easy option is to think about what you’d like to focus on and contact us. Do you want to see factories? Schools? Monuments? Enjoy leisure activities? 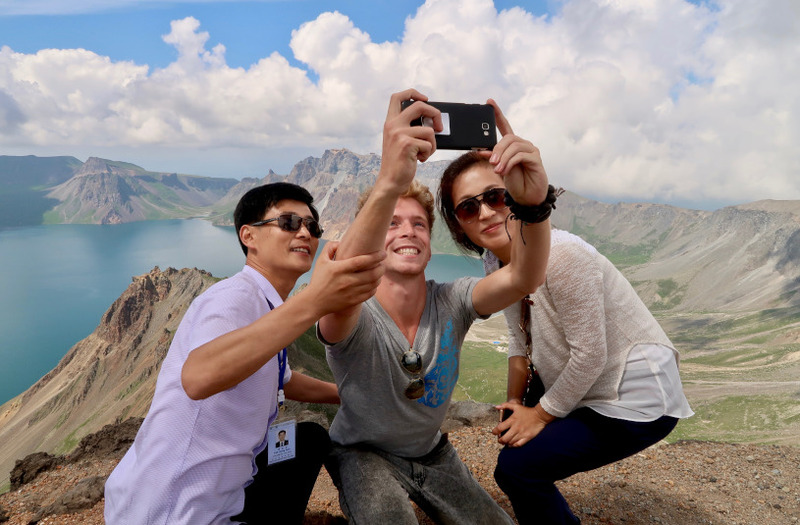 Would you like to see the “greatest hits” of the DPRK or head out to see the countryside? If you let us know we can give you suggestions and start designing an itinerary for you. However, you’re probably still reading this as you’d like to know now! Answering the question in detail is a bit of a task but we’ll break it down and give a quick idea going by region/city. 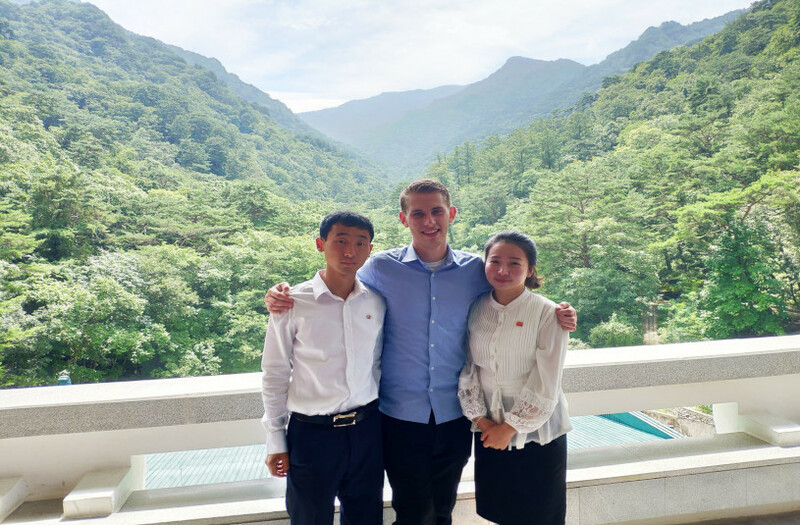 In Pyongyang there is so much to do, from visiting a catfish farm to a water park, visiting the Kumsusan Palace of the Sun (the mausoleum for the previous leaders) to one of several funfairs. There are art galleries, art studios, film studios, all kinds of schools, coffee shops, bars, plenty of monuments and museums such as the Korean War Museum (complete with the captured USS Pueblo) or the Metro Museum. You can ride the metro, watch a Tae Kwon Do demonstration, go to a cooking class, visit department stores and the famous Kwangbok supermarket where you can stock up on cheap local goods as neat souvenirs for friends, and even exchange foreign currencies into local DPRK won. In April you can run in the Pyongyang Marathon. In September you can watch the awe-inspiring Mass Games. Twice a year there are trade fairs and every year they hold the International Film Festival. Another of the prime stops for a DPRK tour, the main attraction here is actually just outside the city — the DMZ at Panmunjon. There are also plenty of historical sites such as the tomb of King Kongmin and the Koryo Museum, the schoolchildren’s palace and the folklore hotel. You can also see one of the few remaining sections of old traditional housing in the country from Janam hill. Most of the old housing was destroyed during the war by US bombing. Kaesong was, for most of the war, part of South Korea so some buildings survive to this day. Located only 8km away from Kaesong, the DMZ is one of the most interesting places in the world. The border, which was created at the end of the Korean War in 1953, is where both officials from the North and South have met for talks. When visiting you will be escorted by an officer of the Korean’s People Army who will show you the JSA (Joint Security Area) and the hut where the Armistice Agreement was signed ending the Korean War. 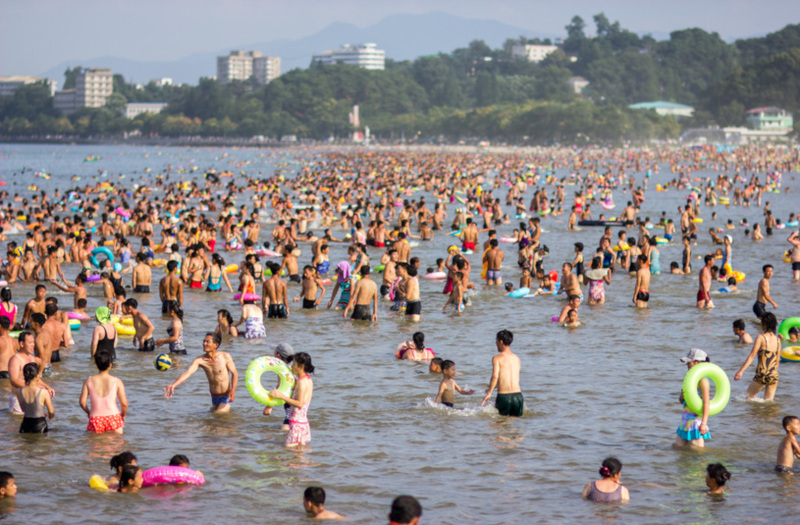 A YPT summer favourite, Wonsan is mostly about the beach. Try and visit on a Sunday when people have the day off and you can join the locals at the beach and relax. There’s also a great art gallery with good pricing, a co-operative farm, the old Japanese-built steam train which carried President Kim Il Sung from Wonsan to Pyongyang after the war and the Songdowon Children’s camp. On the way you can visit the Ulim Waterfall or Sinphyong Kumgang for a hike or just a picnic by the lake. 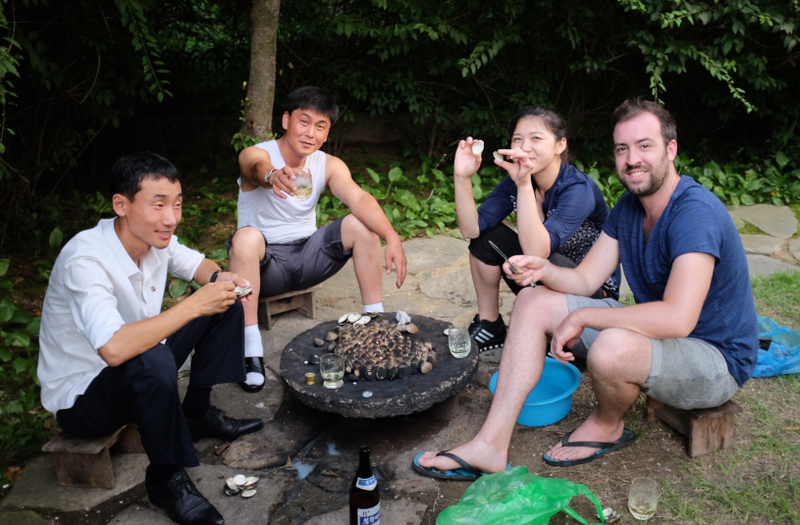 During your time in Wonsan don’t miss the chance to have fresh seafood BBQ! This is a mountainous area of great fame in both Koreas. The primary attractions here are hiking and the natural spa as well as the South-Korean-built hotels and restaurants. Visit Lake Sijung on the way but be aware that the roads down the coast are pretty bumpy, even by local standards. Or you could head the other way from Wonsan and go north to Hamhung. The second largest city in the DPRK, Hamhung is rarely visited as it’s quite out of the way and doesn’t have so many options for tour groups. Here you can stay at the Majon Beach resort where you can also swim and have BBQ clams or stay in the city at the Sinhungsan Hotel. 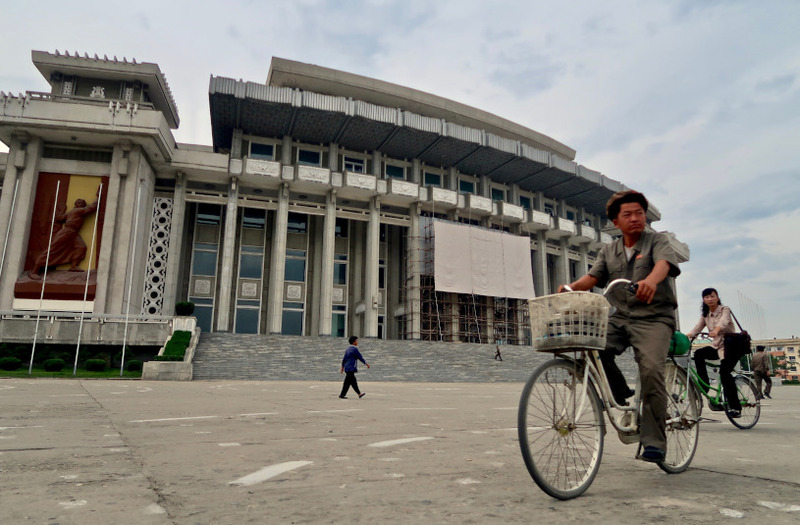 You can visit the Grand Monuments, see the exterior of the largest theater in North Korea – the Hamhung Grand Theater and Central Square –visit the Hungnam Fertiliser factory, and take a trip to the house of Ri Song Gye (the first king of the Ri dynasty). It’s also possible to take a 5-hour round trip to Pujon county to see the Stone River. While in Hamhung it’s also worth trying the potato version of the famed “cold noodles”, a local twist on a Korean favourite. Another favourite for many of our staff. There are two ways to Chongjin. The first is via domestic flight from Pyongyang, and the other is to go overland at the Namyang or Wonjong borders. It’s unfortunately not possible to drive from Pyongyang to Chongjin or vice versa as the road is in no condition for tourist buses. So if you’d like to see North Hamgyong Province and other parts of the country you’ll need to take this flight. In Chongjin it’s possible to visit kindergartens, a foreign language academy to chat with the local students, see the electronic library, eat, shop, bathe or get a haircut at the Seamen’s Club as well as have a party with the local staff, ride a local trolley bus or even take a 15km run/cycle from the harbour to Ranam district (You don’t have to run the whole way!). You can also see the local Revolutionary Museum or the local art gallery- another with excellent pricing. 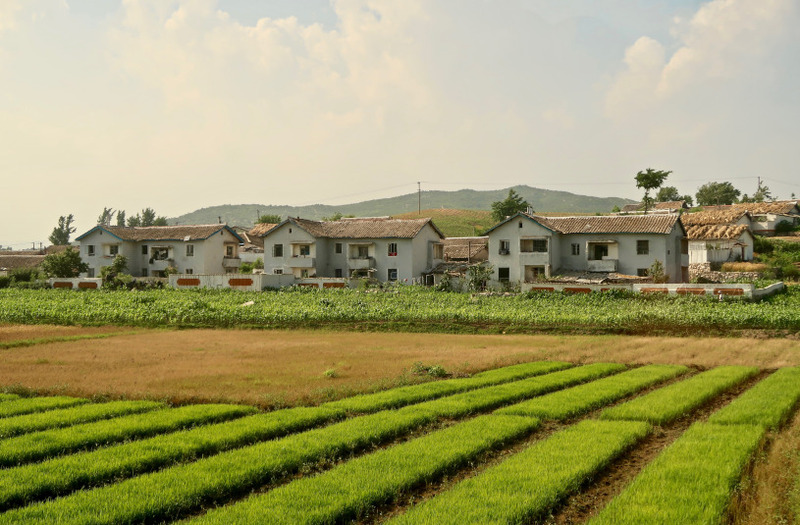 Here you can stay at the only homestay in North Korea. 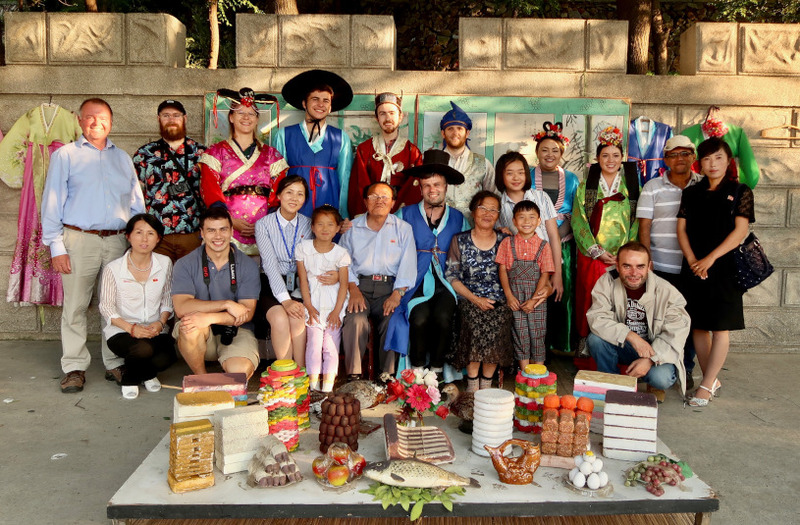 Try your hand at making traditional Korean foods, have a game of volleyball with the villagers or have a crack at Ssirum (Korean Traditional Wrestling). After dinner we have a beach bonfire and sing songs/ dance with the locals. It’s always a hit. Other than that you can, of course, take plenty of great hikes, go swimming or boating in the sea along the coast and visit the Kaeshim temple as well as see lots of curious rock formations. Not much to do here, but it’s sometimes used as an option to break up the drive back from Chilbosan. There are several spas that are well regarded in the country for their medicinal qualities and a revolutionary site. It’s also possible, at times, to take a walk in the county but this can depend on activities in the area. On the smaller sides of cities that are open to tourists, Hoeryong has a population estimate of almost 135,000. You can visit the Statue to Mother Kim Jong Suk, her home and the revolutionary museum. 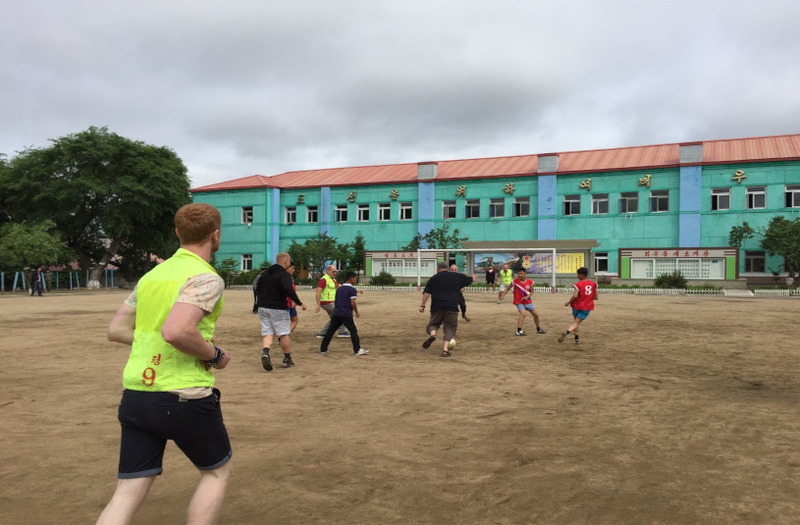 You can also visit the Kim Ki Song Middle school and help the local students have an opportunity to practice English with actual foreigners. This town is near the border and only really has two sites: the awe-inspiring Wangjaesan Grand Monument (my personal favourite monument in the country) and the Wangjaesan Guesthouse where we sometimes have lunch on the way out through Namyang border. 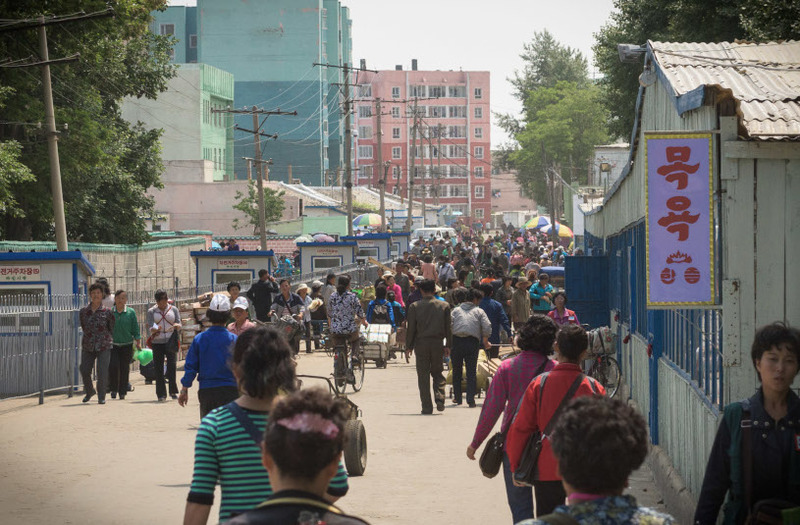 As the only SEZ in North Korea, this zone has a few major pluses going for it, the main one being it’s the only area in the country where you can visit a private market. You can also go to the bank and get local currency, which you can use in shops throughout the SEZ. It’s also got a great foreign language academy where you can teach an impromptu class or just chat with the students. Rason is also famous for its textile factories, which are well worth a visit. In summer the beach is great and there is a microbrewery producing Czech-style beer that was set up by an actual Czech. The art gallery here has by far the best prices in the country. 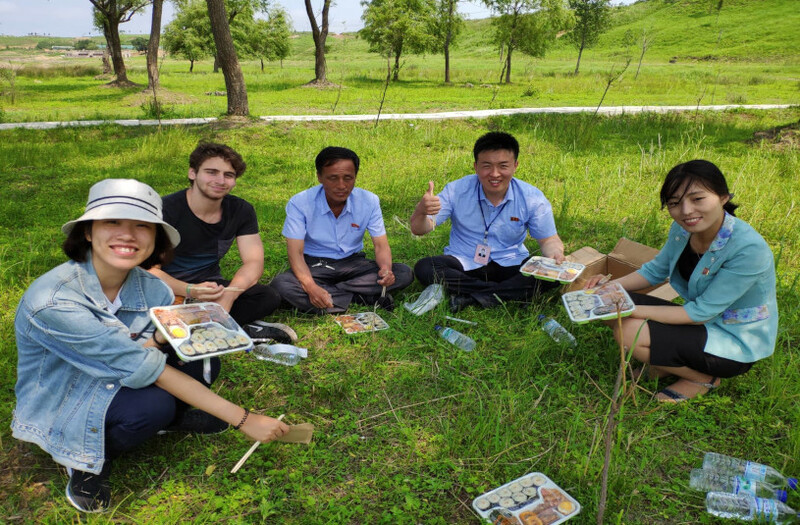 This city sits right on the border opposite Dandong in China and as such is convenient not only to add to your tour, but you can also just opt for a day tour to Sinuiju. 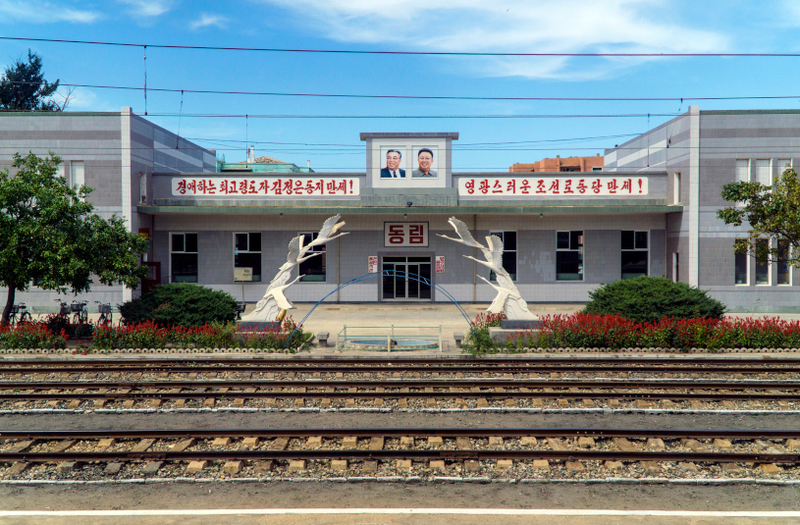 Here you can see the North Pyongan Provincial Revolutionary Museum, the locally-famed Pomhyangi Cosmetics Factory, the city square and monuments as well as the art gallery, the local folklore and Amnok Parks and see the most famous kindergarten show in the country at Bonbu Kindergarten. 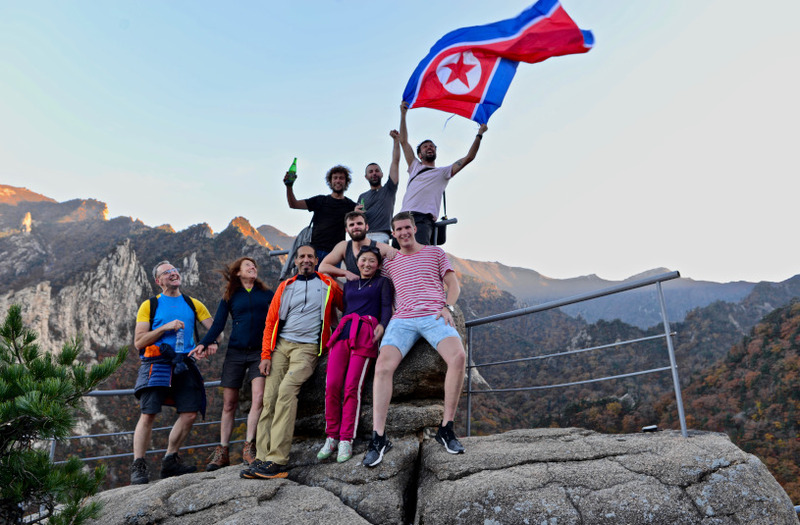 Myohyang is another famed mountain region in North Korea; asides from great scenic views and hiking areas, the region also houses one of the DPRK’s quirkier sites – the International Friendship Exhibition. These giant halls are built into the mountains themselves and house gifts given to the leaders from all around the world. It’s also possible to see the Largest Buddhist temple in the DPRK Pohyon temple and to drop in at Ryongmun Cavern to see the fabulous rock formations. This town is another of the lesser-visited ones in the country. The main attractions here are the Sokdamgugok scenic valleys, the Sohyon Confucian academy, the Kyenam stock farm and the Puyong Pavilion. You can also visit nearby Mt Kuwol for a hike or to see Woljong Temple or go to Mt Suyang to see the Suyangsan waterfall. Accommodation in Haeju is at the Haeju hotel which sits right on the central square. Nampo is a key port town and, as such, is directly administered by the central government rather than the provincial government. 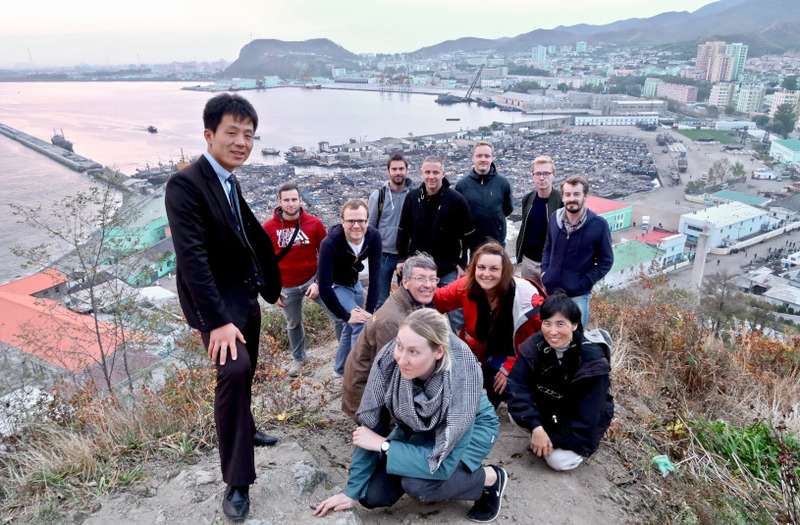 Here you can visit factories such as the famed Chollima Steelworks, the Taean Friendship glass factory or the Kangso Mineral Water Bottling plant. There are also the famed Kangso Tombs nearby, the West Sea Barrage and the Pyongyang Golf course. Accommodation can be had at budget rates in the Hangu Harbour Hotel or (well worth the standard price) the Nampho Hot Spa Hotel with a mineral spa in each room. Usually just a stop on the way back from Kaesong, you can walk in the local folklore park and climb the pavilion to look over the city. It is also possible to stay in the March 8th Hotel here, but with so little to do, it’s not a very common overnight stay. Very little is possible to do in these areas, though the Ryongmun Cavern is near Huichon and the Taegak Youth Dam is by Anju. They are possible overnight stays and we hope to be opening up more sites to tourists very soon. A surprisingly decent ski resort, it does pretty much what it says on the tin – you can go skiing there and snowboarding. In the summer it’s also possible to go hiking and overnight stays inside the resort are charged at standard rates, as opposed to the higher rates in winter. The resort also features a swimming pool and small gym as well as internet access (USD 5 per thirty minutes). There are also some great restaurants in the resort that are better than the hotel meals, though these are extra charge. Considered to be the absolute must-see by all North Koreans , Mt. Paektu is located in the far north east of the DPRK, sharing the same border as China. 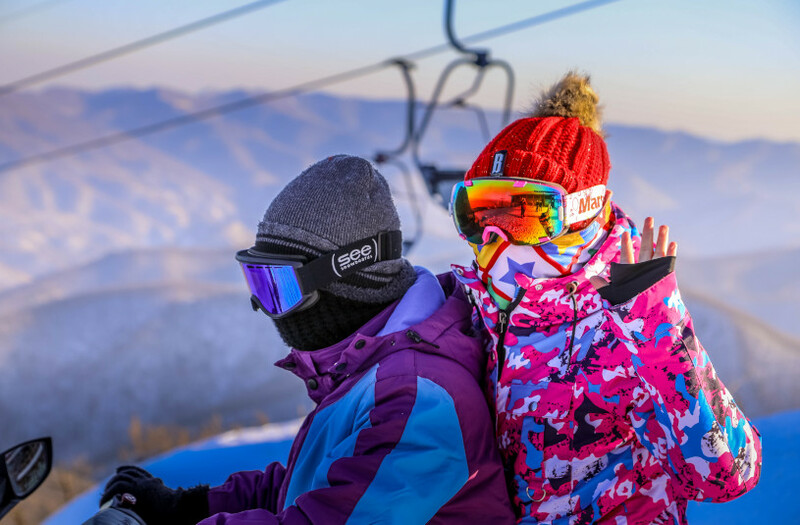 With an altitude of 2750 metres, it’s the highest mountain in the entire Korean peninsula and northeast of China. A large crater lake located at the top of the mountain named Heaven Lake provides tourists with spectacular and unique views. Reaching Mt. 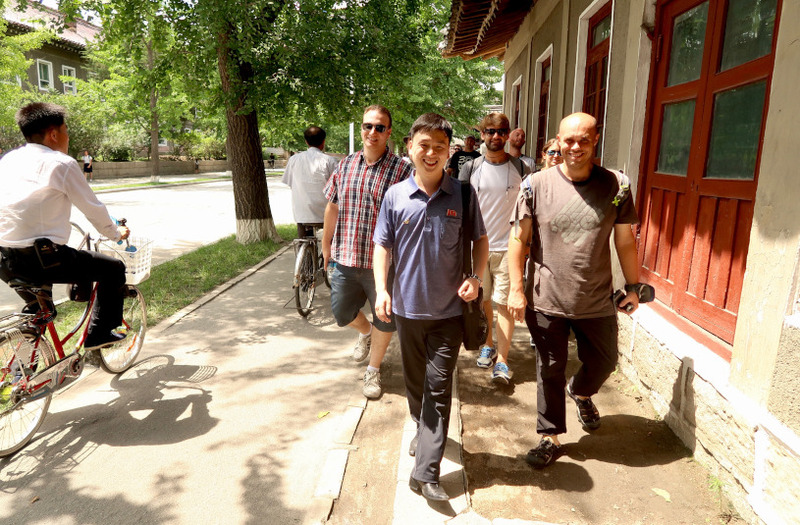 Paektu from within North Korea is only possible by chartering a flight from Pyongyang, which Young Pioneer Tours have been arranging annually for more than 10 years. The closest town to Mt. Paektu is Samjiyon, which has a hint of European influence with high-roofed homes to help locals cope better with the heavy snowfall during winter. Begabong hotel is where we arrange for guests to stay. We highly recommend trying the bonfire baked potato — a very famous local delicacy. It’s also possible to tailor your tour based around interests, such as aviation, culinary experiences, ideology, the economy, art, history and so much more. Just contact us and we’ll do our absolute best to give you the best North Korea Tour experience. 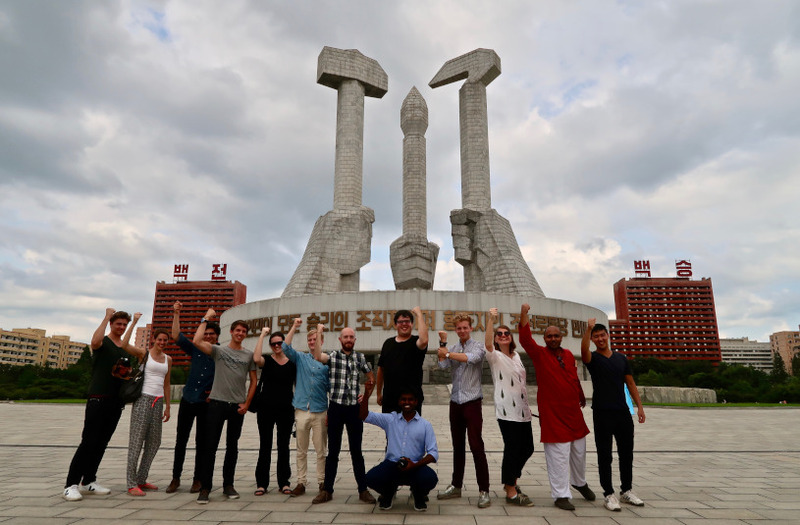 If you’re interested in taking an independent tour to North Korea, check out our independent tour page here.